Welcome to the Short Blue Fleet website which describes the history of the Hewett family’s “Short Blue Fleet” of fishing vessels. The Short Blue Fleet was started in 1764 when James Whennel of Barking bought his first fishing smack. His son in law, Scrymgeour Hewett, took over the fleet on his death, and the fleet remained in Hewett ownership until the last trawler was sold in 1980. The fleet was so named due to the square blue flag flown by all the vessels in the fleet. You can see it flying from the masthead of the vessels in the picture below. A square flag is unusual, hence the name “short” blue. The Short Blue Fleet in its heyday was the largest fleet of vessels of any sort in the world in terms of numbers and by the time of it’s demise it was also the oldest fishing fleet in the world. Small in numbers at the beginning and at the end, at its high point it comprised some 220 vessels. Scrymgeour Hewett (1765-1840) expanded on the somewhat token fleet that his father-in-law owned and swiftly handed the reins to his son Samuel Hewett (1797 – 1871). The halcyon days were undoubtedly the 19th century and that was almost entirely due to the entrepreneurial approach taken by Samuel. He not only expanded, revolutionised and modernised the North Sea fishing industry in the early to mid 19th century but most importantly he was the first person to use ice for the preservation of fish at sea. Such method of preservation of fish at sea was unchallenged as the best until the advent of freezer trawlers over a hundred years later, and is still today by far the most used and preferred method. His son Robert Hewett (1826-1904) introduced steam vessels to the fleet – in particular the steam carriers that were also arguably the first genuine steam trawlers. Dedicated steam trawlers soon followed. Interestingly the first dedicated steam trawler built for Hewett and Co (in 1885) is still afloat today! She is being well looked after in Norway. Robert’s son Robert Muirhead Hewett (1860-1952) continued in the same tradition and was in the forefront of the development of the otter trawl – far more efficient that the beam trawl. However, he and the company were hit by the devastating boiler explosion at Barking in 1899 in which 11 people tragically died and the large fleet of sailing and steam vessels was reduced to a minimum to pay compensation. Robert Roy Hewett (1886-1967) took over after WW1 in the 20th century. 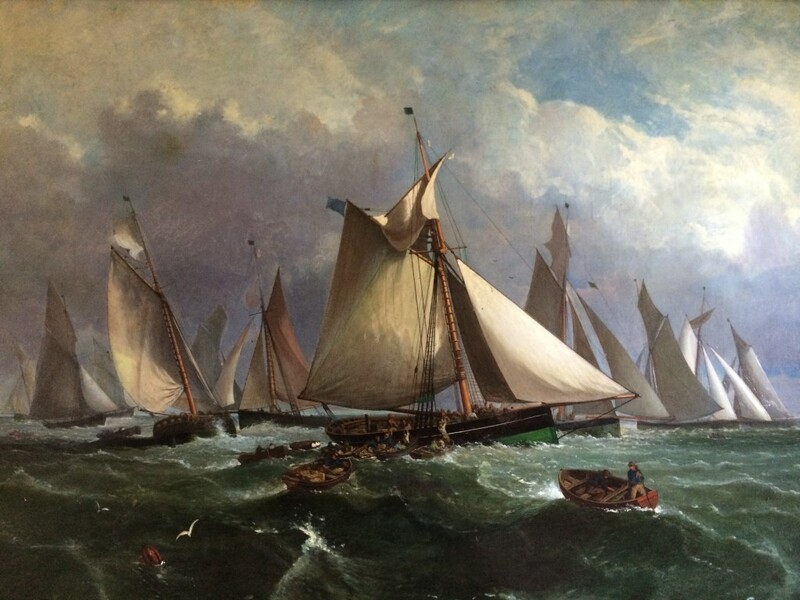 Although predominantly based in London running the wholesale fish merchants business at Billingsgate, he also continued to run the fleet from Lowestoft and later Fleetwood. His nephew Robert Peter Hewett (1920-2001) took over from Roy in 1967 and oversaw the latter days of the fleet’s existence. This website can only be improved by the addition of new material and so snippets (or more) of information are always very welcome. Photos are particularly welcome – full credit will be given. No financial gain is made from this site – quite the opposite; it costs money to keep it running and it is maintained purely for the information and benefit of interested parties. To contact the site compiler please email using this link.